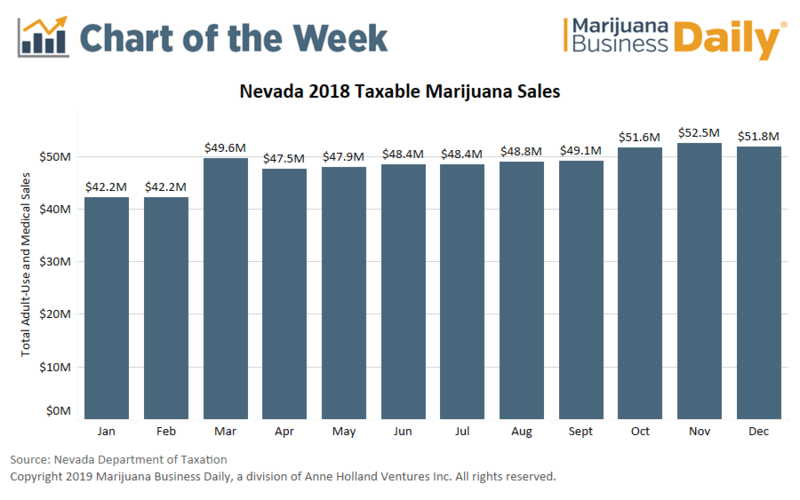 Chart: Are Nevada cannabis sales beginning to plateau? Nevada’s marijuana sales advanced in 2018, but the state’s once-sizzling growth rate is showing signs of cooling. Combined adult-use and medical cannabis sales hit $580 million in calendar 2018, the first full year of legal recreational sales. The program got off to a fast start in July 2017 through existing medical marijuana operators, hitting $39.8 million in sales in the first month alone. By March 2018, monthly sales had increased by about 25%, to $49.6 million. After peaking in March, sales dropped slightly between April and September before rising incrementally in October. The strongest month so far was November’s $52.5 million in sales. December showed a slight decline to $51.8 million. 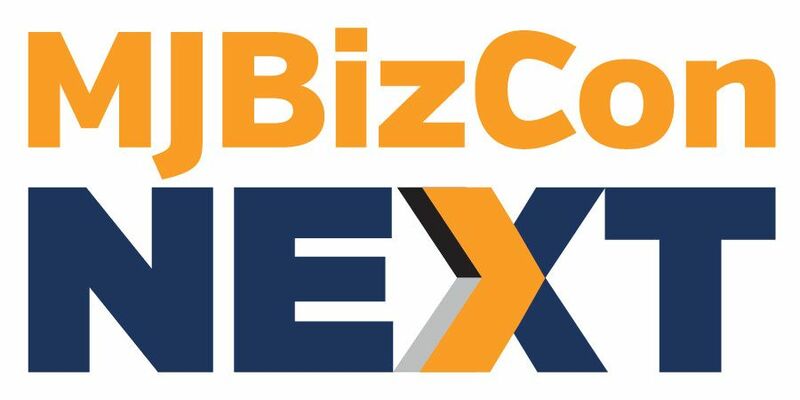 Between July 2018 – when the state began reporting taxable sales by county – and December 2018, Clark County dominated Nevada marijuana sales, accounting for 80% of total sales. Clark County is the most populous region in Nevada and is home to Las Vegas, which is ground zero for the state’s booming tourist economy. Washoe County, the second-most populous region in the state, accounted for 16% of sales during this period, with the remaining 4% of sales spread out over the balance of the state. Many municipalities in Nevada have banned adult-use sales. In December 2018, Nevada issued 61 provisional adult-use retail licenses, which would nearly double the number of rec stores serving the market. It’s unclear how that expansion, however, might affect future sales. State officials stressed at the time that many of the provisional licenses are in jurisdictions that don’t allow cannabis establishments. That means licensees hoping to open stores in those areas need those local governments to change their minds. State officials didn’t immediately respond for comment. A number of unsuccessful applicants also have sued to block the state from issuing the new licenses, alleging the process wasn’t transparent.